"Never trust a stranger”: too broad a statement by far, but a chance encounter in this psychological thriller changes lives forever. 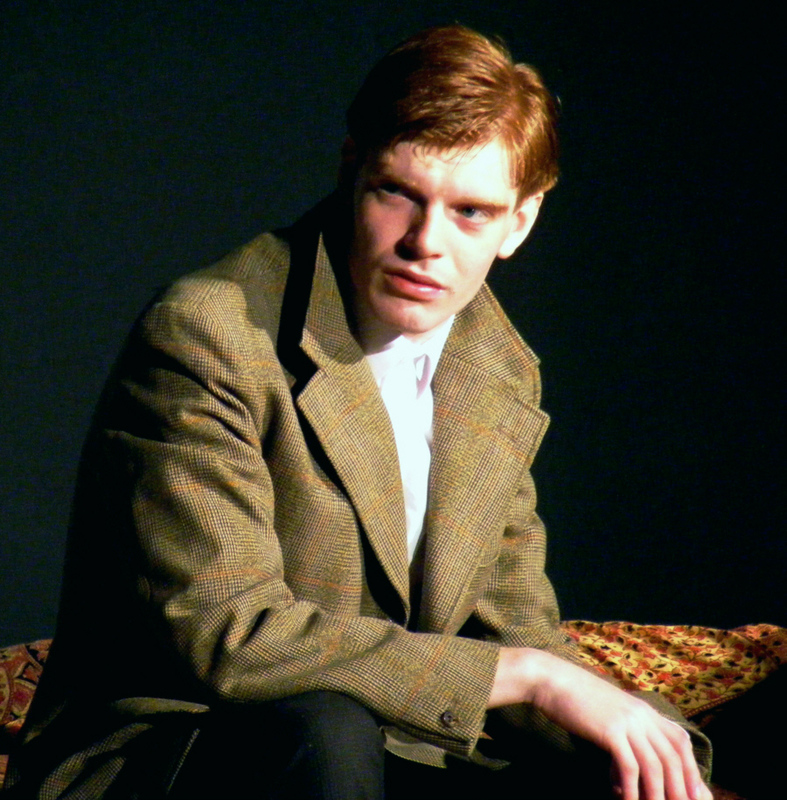 The play is a brilliant adaptation by Craig Warner from Patricia Highsmith's book. Guy Haines, a young architect, shares a train journey with the charismatic Bruno. A man of questionable ways, overindulged by his mother, life is easy. He has no plans for a grand career. These unlikely companions talk of their hopes and aspirations, the obstacles blocking their way an unfaithful wife, a much hated father. A proposal is made. Guy leaves the train, highly amused by their conversation, but Bruno, on the other hand, is deadly serious. High quality material requires expert handling and Peter Dann as director does just that. We enjoyed a memorable evening of stimulating theatre. From start to finish the tension never flagged, enhanced by music so haunting, so penetrating that it stood alone while our imaginations rushed ahead. Incorporating the whole stage into the set and the use of spot lighting ensured that the cast - six in total - were not dwarfed by the large area. As for these accomplished performers? I can only say, without exaggeration, they treated us to a master class in acting. Every movement, word, implied thought gave credence to their character portrayals. We observe Bruno plotting his evil course, placating his doting mother, yet making us aware at the same time of his dependency upon her. Guy, realising there's no way back, that he must follow the road to darkness. Anne, his beloved, future wife, loves Guy unreservedly but unaware of previous events, she fails to understand his sudden mood swings and lack of ambition. This is well illustrated at the wedding, when the uninvited Bruno makes his entrance. While Anne and friend greet him warmly, Guy can barely contain his rage. Later, Bruno warns of impending danger, a private detective, arriving soon. When he makes his entrance we see a competent reassuring figure but to the guilty he represents exposure, imminent doom. It is not long before the cracks appear, discrepancies in hastily prepared statements, confusion over times or dates. Yet the outcome remains uncertain to the very end. It may surprise you; to me it seemed fitting. Only you can tell.